BHRG Series 2 HRG systems integrate a neutral-grounding resistor (NGR) assembly with pulsing function and NGR monitoring; individual ground-fault detection for up to 48 cir-cuits, with available second-fault protection (2GFP); and network communications. The system is scalable up to 120 circuits and 18 NGR’s with the addition of Remote units to a Central control unit. Monitoring, display, and control components are housed in a floor-mount enclosure—the NGR assembly mounts on the control cabinet or at another location. NGR monitoring is with an RC48N Ground-Fault & NGR Monitor or an NGRM700 Neutral-Grounding-Resistor Monitor. The former provides basic AC ground-fault and open-NGR detection. The latter adds AC/DC ground-fault detection, harmonic analysis, two ground-fault detection levels, NGR-short detection, phase-voltage monitoring, and a graphical dis-play. Bender RCMS460 or RCMS490 ground-fault monitors provide multiple-feeder monitoring to detect AC and DC faults in up to 12 circuits per device. The RCMS460 has common relay outputs; the RCMS490 adds dedicated relay outputs for each monitored channel (required for tripping systems and for 2GFP). Each BHRG Series 2 unit can be configured with up to four RCMS monitors—48 circuits. 2GFP Second-Ground-Fault Protection automatically de-energizes the lower-priority circuit on the occurrence of a second fault while keeping the higher-priority circuit energized. The Bender 2GFP system uses true-prioritization technology that does not reduce its high-speed-protection performance—as fast as 80 ms. In 2GFP models, front-panel metering is provided with a color touchscreen HMI. Non-2GFP models feature the NGRM700 NGR Monitor door-mounted HMI, where so equipped.All variants include front-panel pilot lights to indicate control-voltage presence and relay-alarm state, and may include switches for test, reset, and pulse-enable functions. 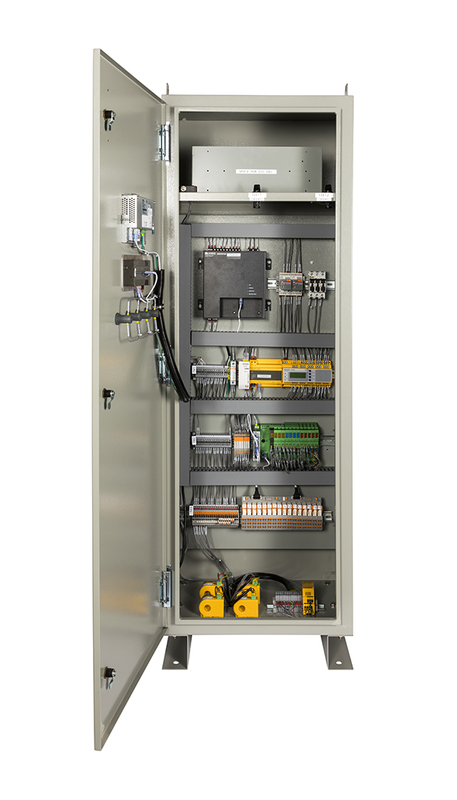 Non-2GFP units with an RC48N NGR Monitor can be equipped with analog gauges for front-panel neutral-voltage and -current indication.Options include an audible alarm and a neutral-disconnect switch. What is high resistance grounding? Read Here.